Born February 15, 1955 in Queensland, Australia, Greg Norman was labeled the "Great White Shark" by a newspaper reporter during the 1981 Masters Tournament. He has won over 80 professional events around the world, including 20 US PGA Tour titles, and was the first person in Tour history to surpass $10 million in career earnings. 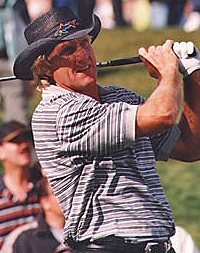 He serves as Chairman and CEO of Great White Shark Enterprises, a multi-national corporation that comprises several companies and divisions, including Greg Norman Golf Course Design, Medalist Golf Developments, Greg Norman Turf Company, Greg Norman Interactive, Greg Norman Production Company, merchandising and licensing. 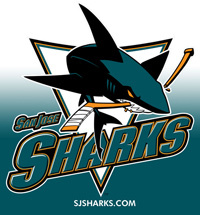 Based in San Jose, California, the Sharks are a professional ice hockey team and members of the Pacific Division of the Western Conference of the NHL. A 1967-68 expansion by the League included a Bay Area team known as the Oakland Seals. Nine money-losing seasons later the Seals were sold to George and Gordon Lund and moved to Cleveland to become the Barons. Two more years of losses led to merging the Barons with the Minnesota North Stars. In 1990 the Gunds sold their share of the North Stars and were allowed to introduce a new expansion team back in the Bay Area. After a naming contest which spawned over 5000 potential names for the new team, the marketing department announced "Sharks are relentless, determined, swift, agile, bright, and fearless. We plan to build an organization that has all those qualities." 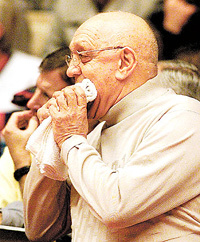 Dubbed "Tark the Shark," he was born August 8, 1930 to Armenian immigrants in Euclid, Ohio, Tarkanian played basketball for the Fresno State Bulldogs in 1954 and 1955. He coached high school ball and then college at both Riverside City College from 1961-66 and Pasadena City College from 1966-68, winning three California Junior College championships. He moved to Division I at Long Beach State from 1968-1973, but gained notoriety as the head coach of the University of Nevada, Las Vegas' Runnin' Rebels from 1973-1992. He took UNLV to the Final Four on four occasions, losing to North Carolina in 1977 in the semifinals, losing to Bobby Knight's Indian Hoosiers in 1987, beating Duke in the championship game in 1990 by a record-setting margin of victory, but losing to Duke in the semifinals the following year. His run-ins with the NCAA are legendary, and ultimately led to his resignation from UNLV. He briefly coached the San Antonio Spurs in the NBA, but was fired after just 20 games and an abysmal record of 9-11. He later returned to his Alma Mater and coached Fresno State to six consecutive 20-win seasons. His autobiography, "Runnin' Rebel: Shark Tales of 'Extra Benefits', Frank Sinatra and Winning It All" was a best-seller.